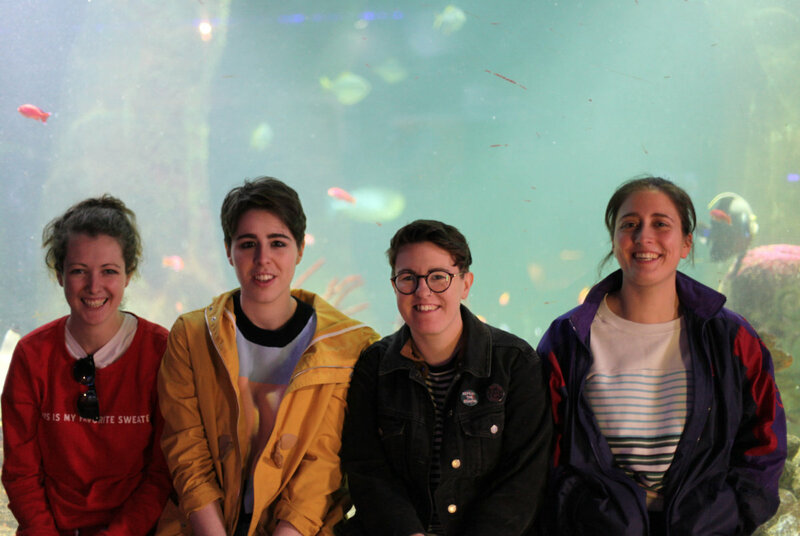 Since their debut at the Bello Bar during December of last year, Pillow Queens have been going from strength to strength, performing a string of gigs at significant venues through the country as well as just finishing a rigorous UK tour. Their musical initial release was a self-released EP, Calm Girls, which was met with significant acclaim and subsequently re-released the EP via UK label Specialist Subject. Not only did their catchy hooks, no nonsense musical attitudes, and unashamedly open lyrics garner them immense attention, it also quickly catapulted them to fame on their Irish music scene as a whole, making them of the Dublin’ most talked about punk-pop bands on the rise. What truly helped establish Pillow Queens he band as ones to watch in 2017 was the way in which they took their genre and completely turned it on its head. Rather than treating punk as just noise, the band found a way to draw in the listener’s ear with striking musical combinations that were unapologetically intense and loud, and then offer them music that was still lyrically rich. Their music was more about the storytelling than just an array of brash noises, reshaping perceptions of the genre to fit their style rather than bending their music to fit preconceived notions. These four musicians have managed to take a music style that is saturated at the minute with bands trying to improve on old musical concepts, and instead chose to reinvent the rules completely. One listen to ‘Rats’ is rife with cataclysmic riffs, distinctive vocals, that just culminates in absolute infectiousness. So if you’re ready for some musical rejuvenation on a dreary Monday morning then look no further than the awesomely named Pillow Queens.